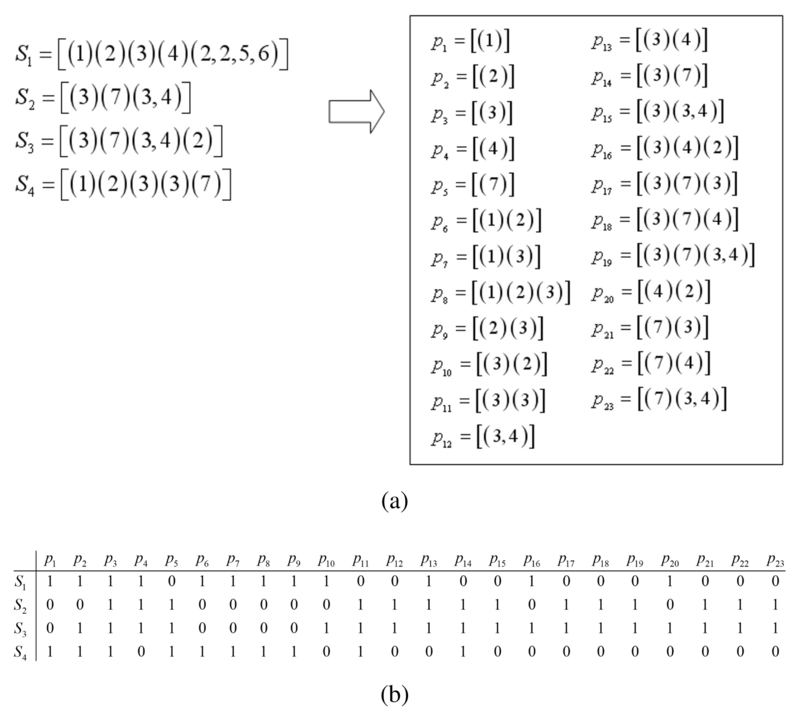 Example of constructing the binary matrix. (a) Sequence data and the complete set of frequent sequential patterns with support of 50%. (b) Constructed binary matrix.